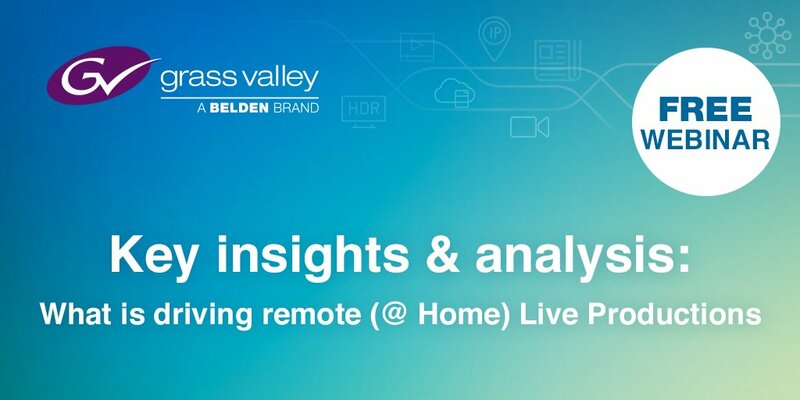 Webinar: Key insights & analysis what is driving remote (@home) live productions? Tasked with producing more live coverage with squeezed resources, broadcasters are turning to remote live productions. Correctly implemented, remote productions can reduce the movement of people and equipment; increase the utilization of equipment; reduce on-site set-up times; and maximize the efficiency of production teams. Have you worked on remote (@ home) live productions? Are you planning to implement remote (@ home) live productions? Are you looking for new, innovative ways to increase the efficiency and reach of your live production operations? Register here to get access to the webinar. Klaus Weber is responsible for the definition and presentation of the camera solutions and technology for Grass Valley, a Belden Brand. 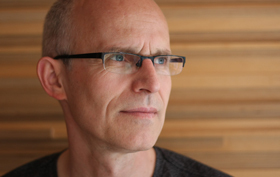 Klaus’s experience includes multiple technical and commercial tasks in the area of broadcast cameras. Klaus has more than 35 years of industry experience, with the last 23 focused on various duties around marketing and business development for the Grass Valley cameras. He is a member of the SMPTE, the FKTG, and the author of several technical articles and white papers addressing camera-related technologies and topics. In addition, Klaus has been awarded a patent around imaging technology and regularly presents technical papers at various industry events and participates in industry panels around the world. Larissa Göerner joined the broadcasting industry in 2001. 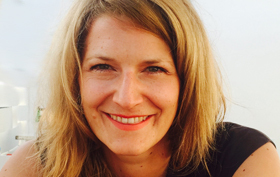 She started her carrier as R&D engineer at IRT, the R&D institute of the public broadcasters in Germany, Austria and Switzerland where she later took on the role as General Manager for Marketing and Sales. In 2014 she joined Net Insight AB as consultant for sales and product management. She is part of the CTO team and works as strategic product manager with a major focus on remote production, IP-based and cloud solutions. She holds a master degree in electrical engineering and a MBA. Next to engineering she works in live-production and operation for more 16 years at national and international sport productions and events.